Meghan Markle has been taking the royal world by storm ever since Prince Harry took her under his wing. With a lot of style and beauty experience behind her, former actress quickly became a royal fashion icon. We often can't take our eyes off the Duchess' outfits and impatiently wait for her public appearances to see what she's going to dazzle us with next. It's known that Meghan favors female designers and elegant silhouettes, so it's surprising she has never flaunted one of Victoria Beckham's designs. Considering that Beckham is one of Markle's good friends, and she's the queen of chic and classy dresses, the Duchess should be often seen in Victoria's brand. So why isn't it happening? Now what I'm starting to learn is, even though things look amazing on the hanger, it doesn't mean they're going to look amazing on me. For example, I love Victoria Beckham dresses, but I don't have the long torso to support that silhouette. It's true, Victoria started her brand based on her own body type, and she boasts a long torso. Most of her dresses either don't accentuate the waist or are a bit too free-flowing. But Beckham's brand has evolved, and we're sure that the Duchess could find something that would look lovely on her. Perhaps Victoria can persuade her royal friend into giving her designs another shot. Meghan really likes Victoria’s style and was keen to pick her brains about pulling together a working wardrobe. We can definitely see Victoria's influence on Meghan's outfits. 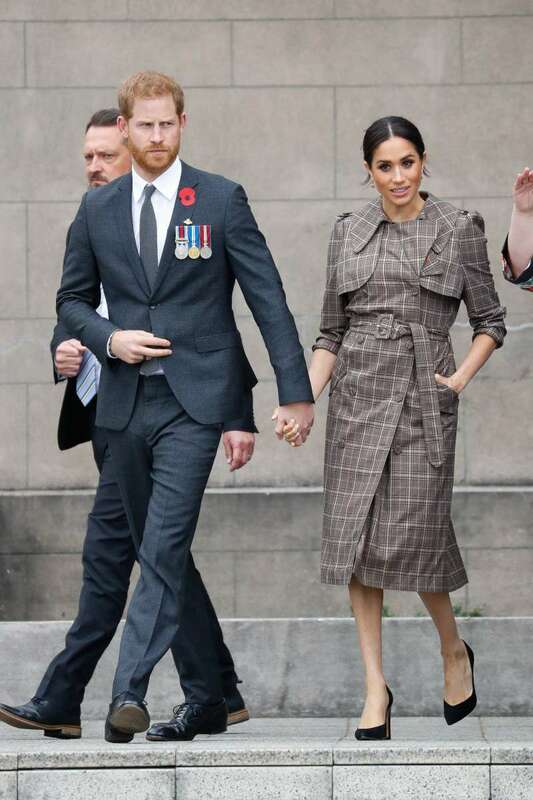 The Duchess of Sussex often goes for sleek and elegant dresses, which are Beckham's signature style. Maybe Beckham can design something specifically for Meghan. We would love to see that creation!